We are based in Berlin, but are interested in remote projects worldwide. "Woboq has pretty much become a part of our internal team, helping us with customer projects and our open source sync client. 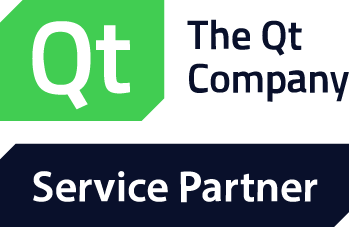 Their Qt and C++ expertise enabled us to greatly improve the sync client's performance and enabled us to react quickly to the wishes of our customers." "We approached Woboq for help with a project with a tight timeline. They responded promptly and immediately impressed us with their understanding of the problem domain. They provided us with a comprehensive solution on time and under budget. We’ve continued to engage them for their expertise and insights. Woboq shows a great commitment to customer satisfaction and are a pleasure to work with.."
We are a software company and can do development and consulting for you. Woboq was founded in 2011 by two ex-Nokia/ex-Trolltech employees Olivier Goffart and Markus Goetz. You can mail us at info@woboq.com right now for inquiries (in English, French or German). You can also schedule a call via e-mail. Check out our consulting offer. Browse C++ source code in the browser with semantic code analysis providing links and tooltips. Reduce engineering time by enabling faster understanding of code without installing the source code of all dependencies/libraries on each developer's machine! https://code.woboq.org is a sample instance that displays the code of several popular open sources libraries.